I knew when I read the recipe that the roasted sweet potatoes with yogurt and sesame seeds from this New York Times Magazine story were going to be salty, creamy, sweet, tangy, full of umami, and super-delicious. They were all that and more. Mix yogurt, olive oil, and lemon juice and spread on a plate. Top with warm, thickly-sliced, roasted sweet potatoes. Drizzle with a bracing salsa of olive oil, lemon, fish sauce, minced onion, and sesame seeds. Ignore everything else on your plate. This is the only way I want to eat sweet potatoes going forward and I think Owen might feel the same way. I had some leftover yogurt and salsa, so yesterday morning I roasted a sweet potato and simply opened it and topped with the yogurt and salsa like you would top a baked potato with sour cream and bacon bits. I wish I could say that this sloppy shortcut worked just great, but the topping smothered the poor sweet potato and threw off the flavor-texture balance. So: assemble your sweet potatoes as directed in the recipe. Highly recommend. Oddly, although the story is about seeds, I barely noticed the sesame seeds in the finished dish and think they could be omitted. I’ve continued my exploration of the delightful little book Fika by Anna Brones and Johanna Kindvall and the other day baked their excellent cream-filled hazelnut meringue torte. I think at this point the authors should put me on some kind of publicity retainer, don’t you? The torte is a fascinating recipe because you pour your rich cake batter into two pans, sprinkle with chocolate chips and chopped hazelnuts, then spread the top of each unbaked layer with some meringue before popping it into the oven. Did you catch that? You bake the meringue layers right onto the torte layers. That was so cool, but it didn’t turn out quite as I’d expected. The recipe says to remove the pans from the oven when the meringue “looks crispy,” but while the meringue eventually “looked crispy,” it never became crispy. It remained spongy, like the topping on lemon meringue pie. Did I make a mistake? I think crunchy meringue would be better, but the torte was still dreamy, all those textures and flavors -- buttery cake, soft meringue, nuts, chocolate -- bound together with cold whipped cream. Then Mark gave it a C+. With all due respect to the good man I married, this is like saying you only really like movies that are part of the X-Men franchise, star Emma Stone, or requires 3D glasses. I mean, taste is taste but there’s such a thing as developing your taste. Sadly, Mark’s desire to develop his taste is about as keen as my desire to develop an interest in the NFL draft, NBA playoffs, or Kentucky Derby, all of which he finds riveting. I would give this torte an A- and write it a fairly glowing recommendation letter. This torte would definitely get into a good college, at least if your definition of good college is as broad as mine has become after looking at colleges for the last year and reading Where You Go Is Not Who You'll Be and the interesting, very flawed Excellent Sheep. Which brings me to this: Isabel is going to Whitman College. She just decided. She is on a couple of wait lists, but I think and hope she will end up at Whitman. Last summer we flew to Seattle to visit the University of Washington and decided to take an 8-detour en route to the University of Oregon to check out Whitman, a small liberal arts school in eastern Washington. Why? I wanted to go to a spudnut shop in the area. Seriously. That was why I thought we should go. There was no way Isabel was actually applying to a school in Walla Walla, Washington! Ha ha ha ha ha. But Whitman is magical and we both fell in love and she applied to Whitman and didn’t apply to either the University of Washington or the University of Oregon and here we are. I did see a downside to Whitman last night when I went to my movie club. One of the women asked where Isabel was going to school and when I said, “Whitman” she replied, “I’ve never heard of it. What’s Whitman?” I briefly explained, but her eyes started to glaze over and I thought, boy, this is going to be a drag for the next four years, explaining Whitman to people who basically don’t care and probably now assume that Isabel isn’t so smart and accomplished because if she was, wouldn’t she be going to, you know, Yale? Or UCLA or Northwestern or the University of Washington or Cal Poly or some school they’ve at least heard of? Such is the heavy cross I must bear. I don’t know about movie club. Last night we saw The Clouds of Sils Maria which I had chosen and advocated for strenuously. I was sure that a heady, arty French drama about a beautiful, aging actress would be the perfect movie for a group of women. But I don’t know these women well and it emerged over dinner that the others had been hoping to see Cinderella. I smiled, nodded agreeably, and thought WHAT???!! I knew then that I had gravely miscalculated and, sure enough, the women on either side of me were sighing and shifting during the film. My companions liked Clouds of Sils Maria even less than Mark liked the hazelnut meringue torte. I loved Clouds of Sils Maria. LOVED it. The pacing of the narrative. The framing. The dimensions of the stories. Gosh, it was good. What did you think? That sweet potato recipe is intriguing -- and I'm a huge fan of Tamar Adler. I was so preoccupied with the responses of my companions that it interfered with my ability to succumb to the movie. So I don't know if I loved it. I was fascinated by it and mesmerized and liked it immensely and keep trying to figure it out. (What happened to Val? What does that last shot signify? I think I understood the the meaning of the clouds and location.) I think Juliette Binoche is the most beautiful woman in the world -- still, at 50 or whatever she is. I love Tamar Adler. Her writing always teeters just on the pleasurable side of affected, for me. Did you read/like/discuss and I missed it The Everlasting Meal? 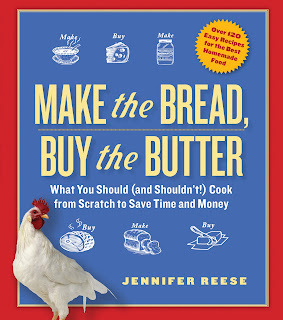 One of the few food books that has actually changed the way I approach cooking. I remember being startled that no one at my first job cared where I or anyone else had gone to college. I was a snob straight from a school that thought a lot of itself. It was a bracing and needed corrective to realize that there's always somebody who went somewhere fancier, and in any case what counts is whatever you're doing/whoever you are currently. Where you go is not who you'll be is spot on. And you've sold me on Fika! Tamar Adler wrote an essay I really liked about her relationship with her brother and cooking. I'll look it up and try to link to it. Great stuff. Watching a child deal with college admissions in 2015 has been very educational. I am not the same person I was when this all started. I wasn't much of a school snob to begin with, but any traces of that are now GONE. Oh, gosh. I heard the Fresh Air review of Sils Maria, and thought, oooh, right up my alley. Then I realized it had Kristen Stewart, which shook me a bit. On the other hand, Juliette Binoche! But I mostly know about that sort of movie group; I was in that group, except it was a book group. So difficult to maneuver tactfully. Good luck. Kristen Stewart is pretty good! You'll be surprised, I think. And Juliette Binoche. I could sit there and watch her all day. That face. That sweet potato recipe caught my eye but the fish sauce gave me pause. Your ringing endorsement is encouraging. All the other elements are things i love. I think I might need to add cilantro, but I should probably try it as written before I get big ideas! I have mixed feelings about meringue, especially soft meringue. But I know people (=kids) who will probably adore that cake, so it will be on the roster soon. I think some fish sauces are better than others. I just reverted to my old bottle of Squid after a long period with some other expensive brand -- Red Boat? -- and I noticed right off that the Squid was worse, saltier, sharper. I should do a tasting. If you don't like fish sauce AT ALL you might not like this dish. I'm certain I would have loved that torte. You had me at hazelnuts. And the idea of baking the meringue on top of the cakes, then filling with whipped cream, plus the chocolate and chopped nuts, I love it all. As for explaining Whitman, I had to do that with Katherine's college choice (St. John's) and it was a minor drag, compared to Emily's choice (Sarah Lawrence) which everyone has heard of. Your movie club sounds like fun, though I'm afraid I have the same plebeian taste they do--Harman is always suggesting arty, foreign, or very small-budget movies that were highly acclaimed, and I always want to watch comedies, Pixar, period dramas, or Pride and Prejudice. I have childish movie impulses. If I were in your movie club I would have been disappointed that it was The Clouds of Sils Maria instead of Cinderella, and then I would have probably really loved the French film and not fidgeted at all. Because that's what always happens when Harman chooses some movie that isn't initially appealing to me--I end up loving it. He has better taste in movies than I do. Did Owen like his sweet potato breakfast? My taste in movies is pretty broad, I just sort of assumed that a group of adult women in a movie club would want to see a movie on the arty side. I should have known better, given how little they liked Ida, one of my previous choices. Earlier in the week I saw Ex Machina with Owen -- so good! I am confused about why these people are in a movie club. If you are interested in seeing blockbuster-type movies, surely you can find people to go with you sans club. If you want to see Bulgarian docudramas, then you are in need of an organization of kindred spirits. Tamar Adler is a thought-provoking food writer, isn't she? She has such a distinctive persona in her writing; I wonder what she is like in real life. I think it's just a social club, mostly. I know nothing about Tamar Adler except that she's a good writer and very beautiful. I kind of hated myself for loving An Everlasting Meal as much as I did, but I couldn't help it, especially when I read that beans, while cooking, require "an immoderate, Tuscan amount of olive oil." I repeated that phrase to my neighbor across the hall, an excellent cook, who invited me over for some exceptionally delicious beans the next week. He told me he had added an immoderate, Tuscan amount of olive oil to the bean broth, and we laughed hysterically, then ate up. Whitman is a great school, and very hard to get into. Yay Isabel! And, she'll still be in the west. My girls both went to small liberal-arts schools in the east. I love Whitman. Very happy. While out on my jog this morning, I ran into a man and his dog, and the man was wearing a Whitman baseball cap. I always stop to pet the dogs, so we got to chatting. Anyhow, this guy's son has just graduated from Whitman, and really enjoyed his college experience. Also, he told me, it's Washington State's wine region. So that's a nice bonus. The Unbearable Lightness of Being was the first film in which I saw Juliette Binoche star. I am also captivated by her beauty and love her performances. Putting Clouds on my list. What a strange movie club. Where did you meet them? It might be enlightening. Maybe. I made the blackberry cake from fika yesterday. My son said that it was the best cake that is not a cake that I've made to date. High praise. We all had a good laugh over the Swedish word kaka. Mandelkaka med bjornbar reminded me of Laurie Colwin's Nantucket cranberry pie (same ingredients and almost the same measurements for the batter). Very dense and marzipan-y. I will be making it again tomorrow morning. Thank you for suggesting the book. I love it! I finally have a use for all of the sugars I buy at IKEA. After visiting seven universities in less than four weeks, I can most assuredly say that I am very put off by the whole process. Congratulations on your daughter's almost-decision. It looks like a great school! Spud nut kismet. I'm trying to figure out what to bake for tomorrow night's family dinner. The blackberry cake (I'd use raspberries) is on the list. I think visiting colleges is the only way you can tell if they're right for a kid. Isabel was sure she was going to College X until a few weeks ago, when she actually visited. Was definitely not for her. Sold. I will make for a party I'm going to tomorrow. I, too, wish I'd given more thought to my college choice and looked at places like Whitman. I can't wait for Parents' Weekend! Congratulations to Whitman for landing Isabel! And while I wish she were coming east, being in her own time zone is a beautiful thing. That cake looks a lot like what I think is called blitztorte? I found the recipe in one of the Cook's Illustrated/Country magazines and loved it. The combination of meringue and cake is strange but wonderful. Congratulations to Isabel, and I'm going to chime in that it truly doesn't matter where you go--as long as you become a lifelong learner. But Whitman sounds delightful! I am unfamiliar with blitztorte. Shall look it up. Wow! $67! Love your book, obviously but was stunned at the price. Fortunately, I realized my mistake right away, fairly obvious since the authors are listed as Baker and Taylor. Congrats to Isabel, and congrats to you for bringing up such a great daughter. Four copies! Wow. Thank you. I applied to a job in the counseling center at Whitman last year and went through a round of interviews. I didn't end up getting the job but I was VERY impressed by what I learned about the school during the process - they invest a LOT (of money, time, energy) into helping their students succeed and I don't think there is nearly the danger of a student feeling lost or falling through the cracks like there would be at U of W or other similar large schools. I'm sure Isabel will love it and do wonderfully!! Did you want the job? So interesting. How did you feel about moving to Walla Walla? My daughter went to Willamette in Salem, Oregon, and everyone there kept asking us, "Of course, you applied to Whitman, too, right?" like Willamette was the back-up school. She loved Willamette, and spent four happy, amazing, challenging years there. Being from the Midwest, we looked at schools all over the U.S., but a few escaped our notice. I think you should thank the lure of spudnuts for a great find. By the way, we only visited Willamette on a lark while traveling between Lewis and Clark University and the University of Puget Sound. One of Isabel's friends was serious about Willamette, but ultimately decided on UC Davis. Proximity to home was a big factor. Funny how serendipity plays into it. Proximity to home was a big factor for my daughter, too - like how to get as far away from Kansas as possible when she got the chance. Yay for Whitman! My sister went there and loved it. Some thirty something years later, she still has close friends from her time in Walla Walla, so nice they named it twice. Whitman is a wonderful college! I'm a huge advocate for small liberal arts colleges. Isabel will get lots of mentoring and attention from faculty, enjoy small classes, and really be challenged in rewarding ways. I see Layne mentioned a blitz torte above; this is the same thing. I made this once and it was a hit. The meringue did get crispy, or at least crunchy. Also, "Cinderella"? They don't sound like your kind of group in the slightest. You have to put up with Mark, I realize, but not these women, surely? What happened to the women for whom you made the bo ssam? As I remember it they ate the pork with gusto. I bet they'd have gone for "Clouds of Sils Maria" too. I really don't think she does have to put up with Mark. Lee -- I am out of book group. Maybe I'm just not a good group person. I really want to eat a torte with crunchy meringue -- one day it will happen. Maybe I'll try the blitztorte. Thanks for explaining Mark/Anonymous because I was all, "whoa, harsh, Anon! No one's actually recommended divorce on the basis of spousal lack of appreciation of delicious food before". I'm relieved. The blitztorte was easy, so easy my 11 year old helped me with it. I took it to a party and it was demolished by people who didn't just serve themselves, they cleaned their plates. The daughter of a dear friend is going to be in Isabel's class at Whitman! I hadn't heard of Whitman before she applied (the news travels slowly down to Texas) but everything I've read and heard sounds amazing. My friend's daughter is an incredible person - brilliant and kind and beautiful, just like Isabel I'm sure - and any college will be lucky to have them. I'm jealous of their exciting opportunities!